We are a business technology solutions provider. Our primary focus on cyber-security requires us to defend your data. We are located in Brandon, FL but serve small to medium-sized businesses (up to 50 workstations) throughout the Tampa Bay area. We enable clients to focus on running their businesses with confidence knowing they have a team of experienced IT professionals monitoring and managing their systems, keeping their technology up-to-date, and trained technicians available to provide support and solutions on-demand. Furthermore, we maintain your business continuity and prevent costly interruptions through proper maintenance and employee education. Here at A Better Choice, we realize that managing technology is an essential but difficult task for small to medium sized businesses. Our goal is to relieve our clients of that burden by utilizing our years of field proven IT expertise for their benefit. Granting access to your business’ systems and information is like handing over the keys to your company! When choosing an IT company, you need to be able to trust them with your data. Choose someone carefully. They must be committed to protecting your business from cyber-criminals. 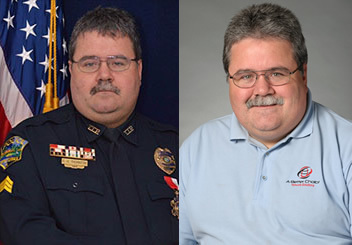 Our founder, David Thornton, spent 26 years in law enforcement in Hillsborough County. Hence, his commitment to serve and protect carries over to the way he conducts business. Keeping your money out of the hands of cyber-criminals is our passion. Our job is to make your job easier so you can get back to what you need to be doing! Looking for an IT Company you can depend on?